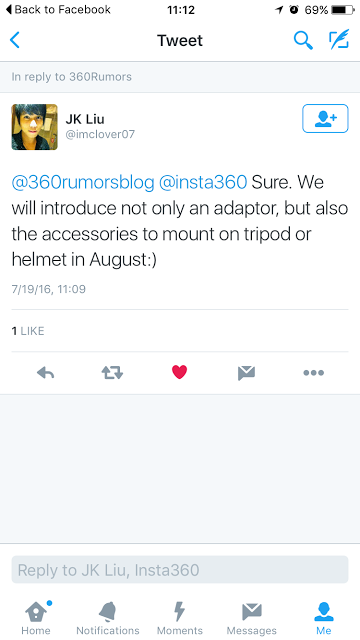 Insta360 responds instantly; new accessories coming for Nano! How’s this for being responsive? I just posted a preliminary review of the Insta360 Nano a couple of hours ago, complementing the image quality but complaining about the lack of self-timer and lamenting the watermark. Amazing! That’s the kind of responsiveness that could put Insta360 on the map. 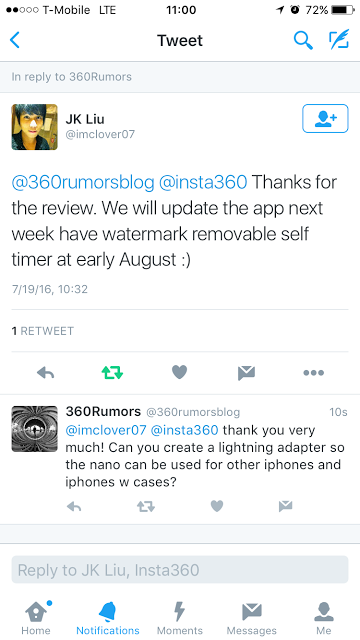 Thanks for listening to your customers, Insta360!